For Marie-Laure, blind since the age of six, the world is full of mazes. The miniature of a Paris neighbourhood, made by her father to teach her the way home. The microscopic layers within the invaluable diamond that her father guards in the Museum of Natural History. 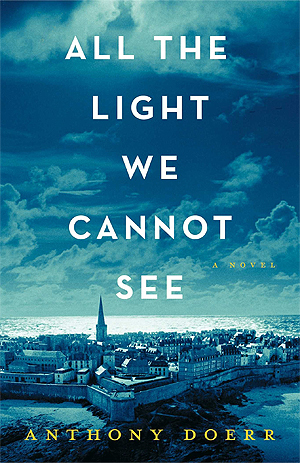 The walled city by the sea, where father and daughter take refuge when Nazis invade Paris. And a future which draws her ever closer to Werner, a German orphan, destined to labour in the mines until a broken radio fills his life with possibility and brings him to the notice of the Hitler Youth. All The Light We Cannot See is one of those reads that I will always remember. It’s the combination of the characters, the story and the writing that made the overall experience such a beautiful read. I fell in love with the characters and their different personalities - not just the two protagonists, but even the side characters. They all felt so real, so alive, which made reading it that much more enjoyable because I felt for them and was so invested in their lives. I couldn’t help but admire Marie-Laure for her bravery and intelligence. She didn’t read as a character who required sympathy or pity for having a disability, instead she led her own life and had her own experiences. Werner though, had so much grief surrounding him that I just wanted to give him a giant hug and tell him it’ll be okay. The story itself was touching and memorable. I loved it mostly because it was a story about war but nothing about the actual war itself. Instead, it focused on the communities and people that suddenly have their lives changed. There was so much insight into the consequences that are felt by the people not only in the immediate future, but consequences that last a lifetime. In saying that, Doerr doesn't try to protect readers from the devastation of war - it's definitely part of the read. It was also historical fiction, but I didn’t feel like I was being bombarded by historical facts. Instead, I was able to grasp the full experience of living in such a time through the characters’ and their stories as I follow them throughout their recount of the era. Doerr’s writing resonated with love, courage, grief, loss and every other emotion I felt when reading it. It flowed between past and present to build up to the finale and I appreciated how the characters’ lives intertwine in such a beautifully yet, fleeting manner. Doerr wrote vividly and created such strong imagery that I can still envision the different settings and moments, despite reading it a month ago. Interestingly, he included a myth about a certain gem that really delivered a strong message around human greed - something that paralleled the events at the time. You don’t have to love reading historical fiction to enjoy this. All The Light We Cannot See speaks volumes on humanity, faith and love between everybody. It is a memorable read that will leave you speechless with all the emotions that will pass through you.